Is any one else drowning in their new back to school schedule? Man it seems we are always running somewhere for someone. It gets to 5 o’clock some days and I don’t think I have even sat down yet. On these busy, crazy days an easy dinner is a must. I have been collecting an arsenal of no brainer dinners that I want to start sharing with all of you! 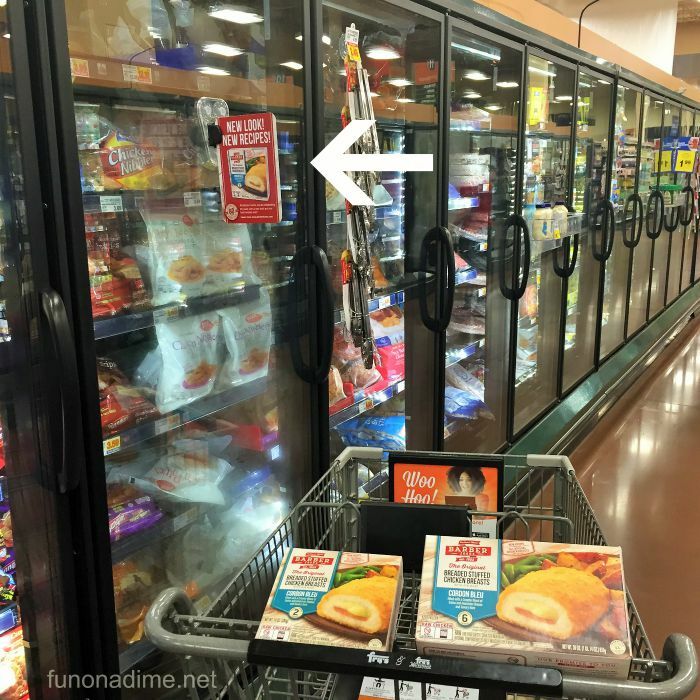 I was perusing my local Fry’s grocery store the other day and this sign on the window of the freezer section caught my eye. 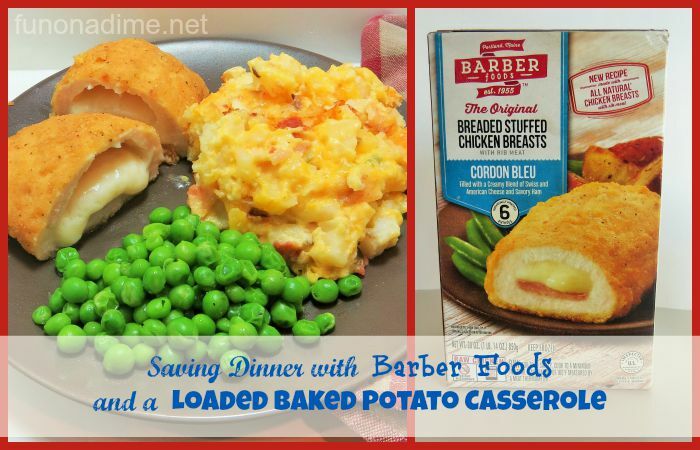 New and Improved Barber stuffed Chicken Breasts. I don’t know about you but I love chicken cordon bleu but hardly ever make it because it is time consuming and so much work. No need to worry about that with the hard part already done!! It even comes in a convenient family pack for my big family or a two pack for a smaller family! You can get a $1 off coupon HERE! We all love a good deal. 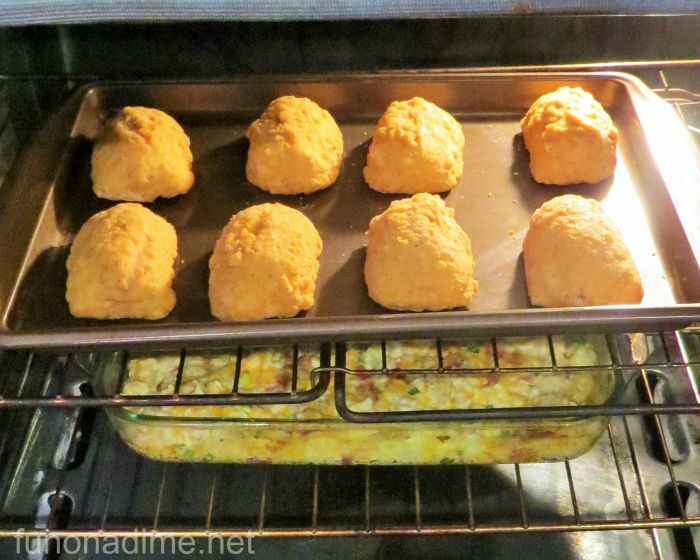 All you have to do is pop them frozen in the oven (follow the directions on the package) and bake for a little over half an hour at 375 degrees. 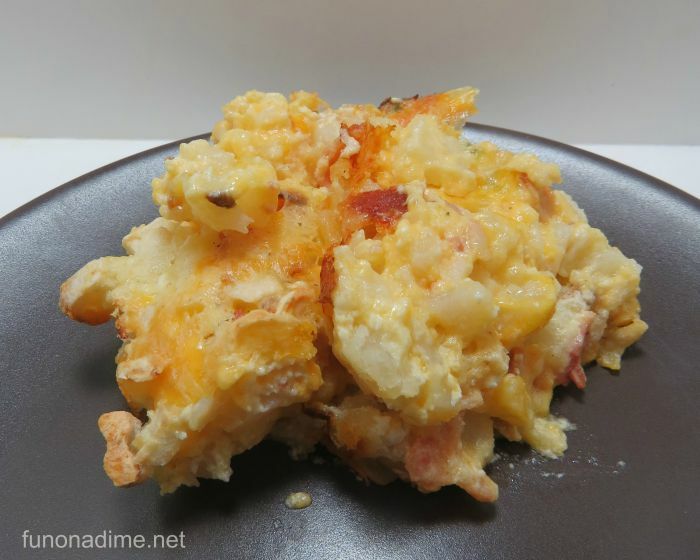 The fantastic part is my super yummy loaded baked potato casserole can cook in the oven at the same time! I start the potatoes about a half an hour before I throw the chicken in to give them enough time to be delicious! Can you say fabulous?? I do believe I might just have time to sit down and put my feet up while it cooks. 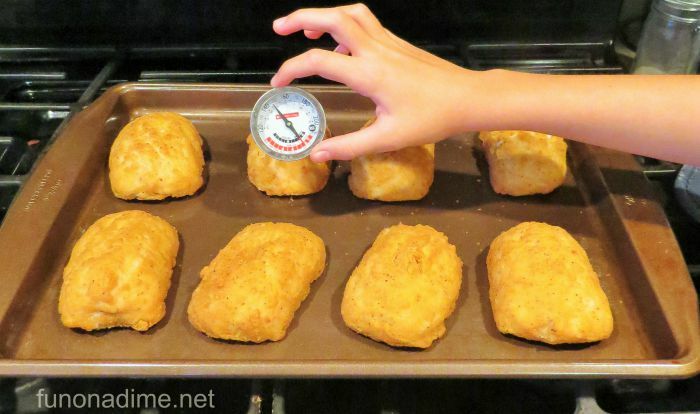 Always check your chicken with a meat thermometer to make sure it is done (165 degrees F.). This is my kids favorite part! They always argue over whose turn it is. Check out my super yummy potatoes below! This is such an easy recipe! Place in greased 9 x 13 pan and bake for 60 minutes. It doesn’t get easier than that. Here you go….. my fabulous dinner and doesn’t it look like I slaved over a hot stove all day long. The new crispy crust and moist inside chicken will fool any one who would think otherwise! 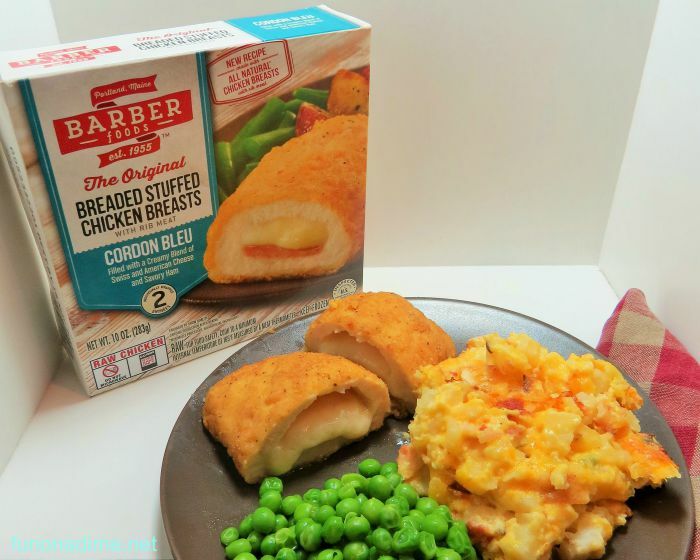 What yummy side dished do you serve with your Barber breaded stuffed chicken? ?